Home / Books / General / SVEVO, Italo. 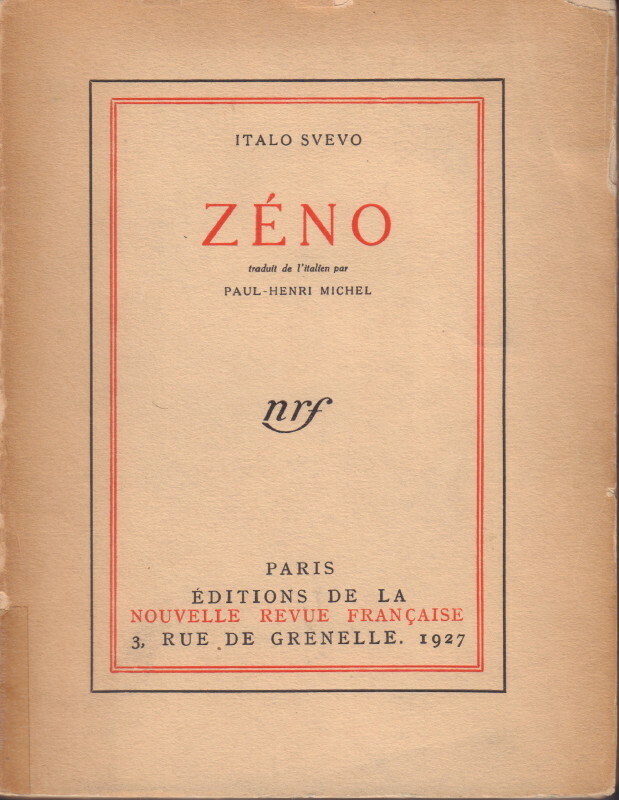 Zeno. (Paris): Editions de la Nouvelle Revue Francaise, 1927. First edition. Octavo. 364 pages. Originally self-published in Italy in 1923, having been rejected by many publishers. Championed by Joyce the novel became hugely popular in France. Belonging recognisably to the comic tradition of Don Quixote and The Good Soldier Svejk, a comedy defined by Schopenhauer (a great influence on Svevo), the work is one of the great Italian novels but also the great modern novel of the comic-pathetic illusion of freedom. Svevo the model for Leopold Bloom the protagonist of Joyce’s seminal novel Ulysses enjoyed only a few years of fame as the new great modern Italian novelist before dying in a car accident in 1928. 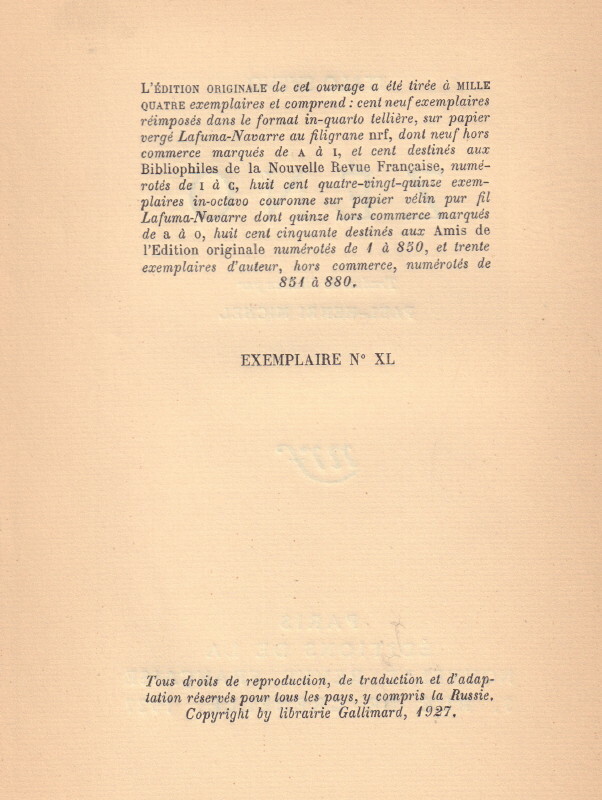 This is one of 109 copies sur papier vergé Lafuma-Navarre au filigrane. A good example only with tape repair and splitting to spine.